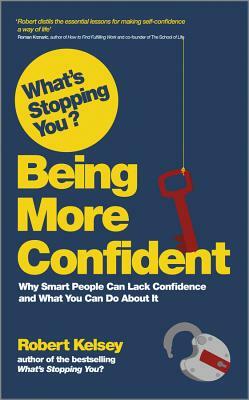 Robert Kelsey is author of Capstone's bestselling What's Stopping You? exploring why smart people failed to reach their potential. He has gone on to sell over 64,000 copies across three What's Stopping You? titles.Robert Kelsey is CEO of Moorgate Communications, a financial PR agency, and was previously CEO of Metrocube, a start-up incubator located in London's fashionable "City-fringes". He trained as a financial journalist before becoming an investment banker and a now an entrepreneur, running his successful PR agency.Yet Kelsey remains and perennial outsider. From a rebellious childhood to an adulthood of pursuing a series of unsuitable careers, he has had a lifetime of failing to settle into any group activities, yet lacking the confidence, guile or know-how to profitably "rebel". Kelsey has developed an enormous insight into both the root causes of alienation and the all-encompassing negative consequences.